On Euclid Avenue in the heart of the city, Felix Berry has transplanted his southern soul menu. "Well I'm from Alabama, so it's all southern influence, southern swing," Felix said. 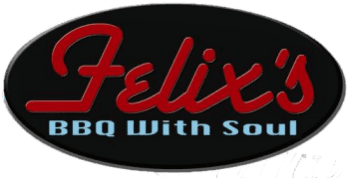 At Felix's BBQ with Soul, it's a confluence of Cajun and 'que, gumbos and fried chicken, collard greens and red beans -- a tasty mix, served at breakfast, lunch and dinner. "Barbeque is what we do. Soul food is who we are..
"It's always been about stirring pots and making it nice and hot and comfortable. It reminds you of being at home. Before they are cooked, the ribs get a thorough rubdown. "We made sure we get all the seams and cracks, so we make sure the flavor is penetrated all the way through on both sides of the ribs. This is set to marinate for 24 hours before we cook, "We smoke them and we finish it off with chargrill. We don't put sauce on until you actually order them." But the staff at Felix's BBQ with Soul sees this restaurant as more than just a place to eat. I think the real joy that comes in this business, you make a difference in the way peoples lives work out on a daily basis. When you're in the service industry, it's a higher calling," Felix said in the transitioning neighborhood of Lincoln Park, Felix envisions becoming a central gathering spot, a melding social pot for food, drink, and entertainment. "We want to become more of a supper club after 7, Meanwhile, they will stir the pots, rub the ribs and serve up heaping plates of authentic southern soul to a neighborhood in need of fine dining.